Lactose intolerance is the inability to digest significant quantities of lactose. Lactose is a sugar found in milk and other dairy products. Lactose intolerance is caused by an inadequate amount of the digestive enzyme lactase. Lactase breaks down the sugar lactose into sugars the bloodstream can more easily absorb. 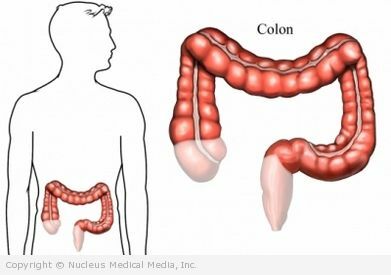 When not fully broken down, lactose ferments in the colon (large intestine) and causes symptoms. Some people are born with the inability to make the enzyme lactase. Others develop the intolerance over time. The doctor will ask about your symptoms and medical history and perform a physical exam. Often she will recommend a two-week trial period of eating no milk or milk products. If symptoms subside, you will be asked to consume milk products again. If milk causes symptoms to recur, you will be diagnosed with lactose intolerance. Though gene therapy has been suggested as a future treatment, there is currently no way to increase the body’s production of lactase. Treatment today focuses on managing symptoms. Experts counsel against complete elimination of dietary lactose, especially in children and adolescents, because milk and milk products provide sources of calcium and other food elements that are otherwise hard to replace. If complete elimination is chosen, then careful replacement of calcium is essential for good health. Keep a food diary of what you eat and what the reaction is. Discuss the findings with your doctor or a dietitian. Make gradual changes to your diet and record the results. Aged cheese and yogurt may be easier to tolerate than other dairy products. Try milk that is modified so it contains less lactose. Ask a dietitian for help choosing substitutes for dairy products or recommending supplements to ensure that you eat enough calcium. Be aware that some medicines may contain small amounts of lactose. Your doctor may recommend lactase enzymes if you can tolerate only small quantities of lactose. The enzyme supplements come in liquid and chewable form. A few drops of the liquid added to milk, which is allowed to sit overnight, can decrease the amount of lactose in the milk by 70%-90%. Tablets are chewed or swallowed before eating foods that contain lactose. There are no guidelines for preventing lactose intolerance.